Greetings on a very crisp fall morning! 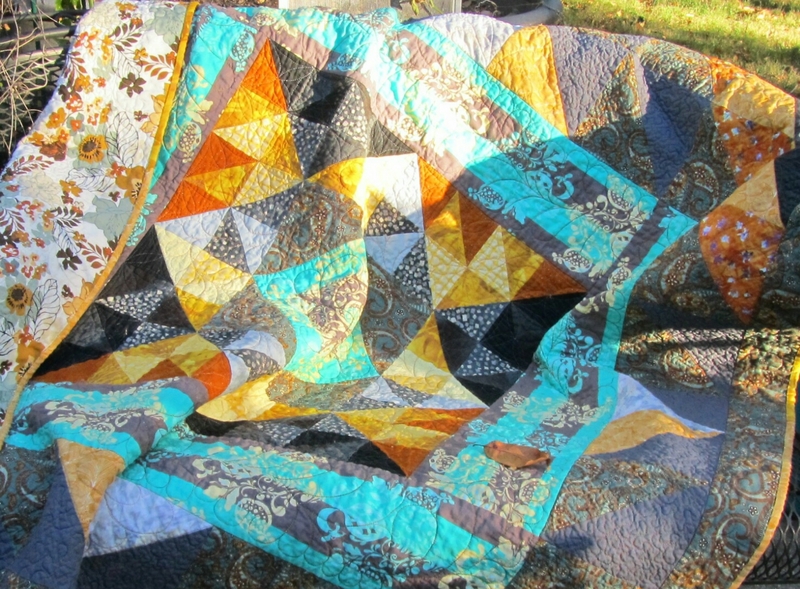 This week I finished the Turquoise and Gold Quilt, which used seven and a half yards, and no new fabric came in. 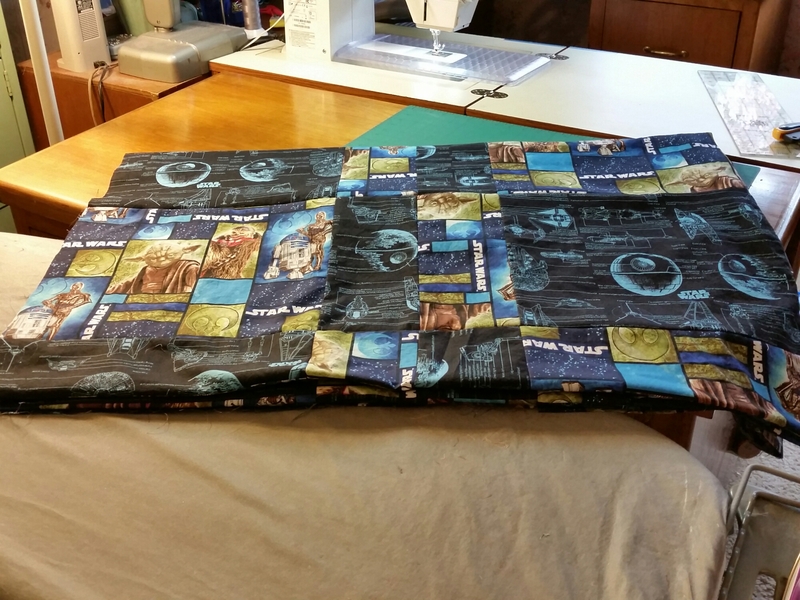 I finished the back for my Droid Quilt Along quilt, over at The Stitch TV Show, but that project won’t be finished till the movie comes out. Sure, I’ll make it to fifty! How are you doing? I’m linking up to Judy’s report at Patchwork Times.